Ever wonder what being an animal control officer is all about? 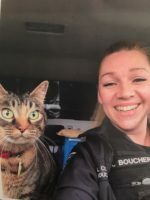 Ride along with Bothell Police Animal Control Office Boucher and see first hand. Trust us, she loves her job and you will too!